Engaged, motivated employees can be an organization’s greatest asset. When employees are fully involved in, committed to, and passionate about their work, productivity rises, and more employees are likely to become brand advocates who can help you grow the business. But many factors come into play when it comes to developing a more engaged workforce. While talent management tools are important to helping you attract, energize and retain the best employees, it’s only part of the picture. In the last post in this three-part series, sponsored by IBM Smarter Workforce, I look at how companies are using applicant tracking systems (ATS) and assessment solutions to better address these issues, and new developments in this area that promise to provide further enhancements. Why Should Companies Care About Workforce Science? Intuitively, we all know that employees can make or break a company. When employees are productive and dedicated, they can propel business growth. Conversely, disgruntled or even apathetic employees can grind business growth to a halt. Research confirms this intuition is spot on. IBM has found a strong correlation between employee engagement at the business unit level and key performance indicators, including customer metrics such as higher profitability, productivity, and quality, as well as lower employee turnover, absenteeism, theft and safety incidents. But how much do most businesses really know about their employees? While many organizations are going to great lengths to understand and analyze customer and prospect expectations, most don’t really know much about what makes their employees tick. For instance, how does a person prefer to learn? What are their talents? How much do they care about their jobs? When you consider that businesses and their employees basically share a two-way profit relationship, it’s hard to understand why companies have been so slow to focus on this problem. Workforce science helps businesses solve for this by combing behavioral science with normative data, analytics, consulting, and processes to determine what it takes to build an engaged workforce, and create the “systems of engagement” to execute on it. Particularly as the recession wanes and the economy picks up, more companies are starting to get interested in improving their effectiveness through workforce science. 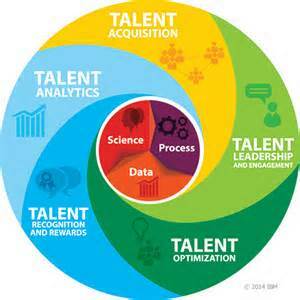 With the competition for top talent intensifying, organizations are looking to use the predictive powers of workforce science to help ensure that their investments will pay off throughout the talent management life cycle. Predictive hiring. By looking for patterns across organizational, unit, HR, and external data, companies can hire more top performers by identifying the talents and skills that are critical to high performance in different areas, and creating a process to hire candidates that most closely align with these characteristics. In addition, analytics are also used to determine what characteristics are a better cultural fit with the company, so you can more readily identify candidates who will fit, be more productive, and who are more likely to stay with the company for a longer time period. Predictive workforce readiness.To close talent gaps today, and develop the talent you need for tomorrow, you need to be able to accurately identify the talent you have, and take steps to fill the gaps. This starts with mapping talent requirements to key strategic objectives, identifying linkages between organizational roles and key competencies, assessing employee competencies, and determining what hiring, training, or actions you need to take to close the gaps. For example, a company may determine that the existing workforce supplies the electrical engineering competencies they need today, but much of the talent is concentrated in the baby boomer age group, and they will face a deficit in 5 years as these boomers retire. With data-based analysis, the company can take proactive steps well in advance to fill the gap. Predictive retention. All companies want to reduce employee turnover costs. Being able to anticipate why top performers might leave, and taking action to stop it can help you reduce these costs. But how well do you really understand what’s causing employee attrition? For instance, a media company believed that long commutes were the key reason for high turnover in its administrative ranks. However, analysis showed that employee family obligations, such as caring for children or aging parents, was a much more important reason. By determining the real case instead of relying on a hunch, the company could take the right corrective actions to reduce turnover. Talent is the lifeblood of any organization, fueling the innovation required to grow and thrive in today’s hyper-competitive world. The truth is, however, that most companies are just starting to think about putting science, solutions and processes in place in this area. Start with the basics. It is probably overwhelming to even think about standardizing your existing human resources data, bringing in normative data and applying new tools and processes on a corporate basis. Start by focusing on a few key problems, such as a skills gap you know exists but can’t quantify, or figuring out why turnover in a key function is too high. Bring real people into the process. Don’t get so carried away with the science that you forget to talk to people in the trenches upfront in the process. This will help ensure that you are not overlooking any possibilities, and are testing the right hypotheses when you do apply analytical tools. Keep the big picture in focus. Although it’s often necessary—and even advantageous—to start small, continually reassess how more accurate insights into your human resources and talent information can help you improve business performance. Find a vendor you trust to help guide you. Although this is still a relatively new area, best practices are emerging. Vendors with deep expertise and experience can help you avoid pitfalls and accomplish your goals more quickly and effectively. IBM’s workforce science solutions combine 25 years of behavioral expertise, analytics and talent management solutions with the largest content library and normative database in the human capital industry. 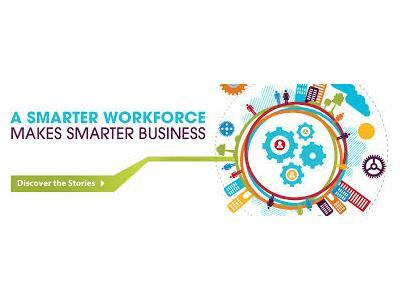 To learn more, visit http://www.ibm.com/smarterworkforce. This is the third and final post in a three-part blog series written by SMB Group and sponsored by IBM. The series examines talent management solutions and trends. Next Next post: How Would You Like to Pay For That? Let the Customer Decide!